Foundation Ulrike Quade Company has a so called Cultural ANBI status. A gift to an ANBI institution is even more attractive through tax benefits. You can find more information on the website of the Dutch Tax Authority. We think good governance is essential for trust in the non-profit sector. 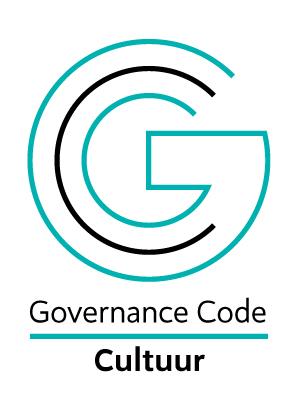 Therefore we endorse the Dutch Governance Code Culture. 1. Establishing and implementing theatre projects in relation to other forms of visual media. 2. Promoting the quality and development of puppetry in theatre and other visual media, both in The Netherlands and abroad. 3. Promoting research and development of contemporary forms of performances with puppets and objects, and mixed forms of visual theatre, mime, dance, audiovisual, music and so on. 4. The exchange of experiences and ideas in the area described with active performers and groups. The board receives no remuneration or attendance. Management receives remuneration in accordance to the guidelines in the CAO Theatre & Dance. The staff follows the CAO Theatre & Dance. Under the artistic guidance of Ulrike Quade the company produces visual theatre. These performances are both layered and accessible. Current and existential themes take shape through the use of scenography and various theatrical resources, including puppets. n.b. : All these official documents are available in Dutch only. If you are interested in our extensive policy plan 2017-2020, please send an e-mail to info@ulrikequade.nl. However this document is available in Dutch only too.